Pasturas Los Alazanes now carries USDA certified organic non GMO chicken feed. 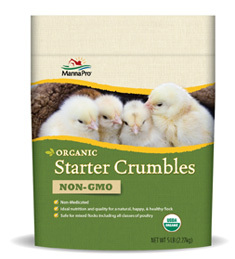 Manna Pro Organic Non GMO Chicken feed provide nutrition for young and growing birds, without pesticides, medications, or genetically-modified ingredients. 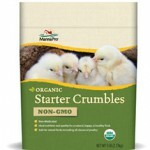 Organic Starter Crumbles – 19% protein, plus nutritious and wholesome ingredients provide the ideal start for any young flock. 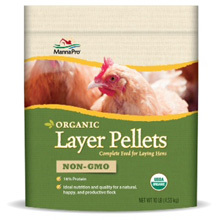 Organic Layer Pellets – 16% protein, ideal nutrition and quality for a natural, happy and productive flock. 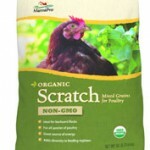 Organic Chicken Scratch – Organic Oats, Organic Corn, Organic Wheat, Organic Flaxseed, and Organic Soybean Oil. 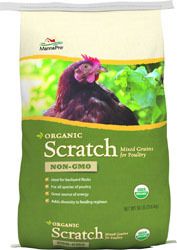 This entry was posted on Friday, May 1st, 2015 at 9:07 pm	and is filed under News & Updates. You can follow any responses to this entry through the RSS 2.0 feed. You can leave a response, or trackback from your own site.